If you are drinking from a straw this weekend you may notice that some of the water or whatever you are drinking using a straw rises in the straw more than the water in the glass. This occurs because the surface tension of the water and its attraction to the straw are stronger than gravity. The same effect will also occur if you place a sponge in water so the water rises through the different bubbles of the sponge defying gravity. This movement through a thin tube and through bubbles is called capillary action. This is likely how the small hummingbird has survived. It has exploited this small niche allowing itself to drink the nectar other birds cannot reach. 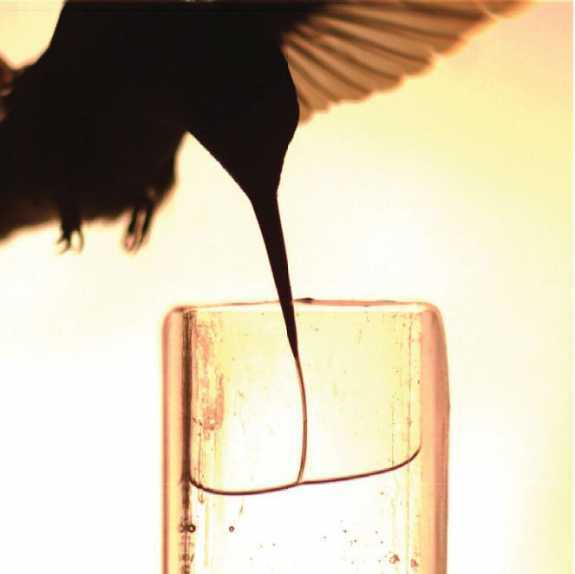 Surface tension properties allows the hummingbird to be awesome! How Can Scorpions Save Us?